College students are using credit cards and getting into credit card debt more now than ever. The average college student has 4 different credit cards and 85% of college students have at least one credit card. Credit card debt settlement is a last resort for people, who have been struggling with credit card debt for years, should college students consider credit card debt settlement? In a word, no, credit card debt settlement is not for college students. If you are a college student who is already racking up credit card debt you need to look at other options. The first thing you need to do is take control of your finances. Completely cut off your spending on your card, as a college student you do not have to spend money at restaurants, in grocery stores or in department stores. As a college student I know how easy it is to spend 20 dollars here and 50 dollars there, but you simply do not need to spend money 90% of the time. The worst thing you can do as a college student is rack up credit card debt! Most credit card companies are not going to offer college students credit lines of more than around 1,000 dollars. Even if you end up in credit card debt of 2-3 thousand dollars as a college student that is not a large enough amount to even consider credit card debt settlement. This settlement process is very serious, if you get yourself into it you better end up saving thousands of dollars, not just a few hundred dollars here or there. 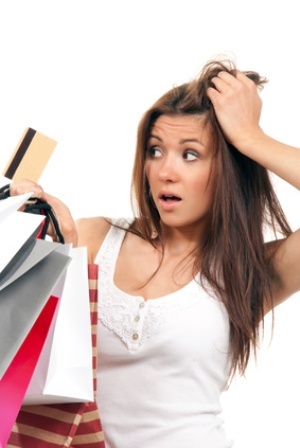 It is important to remember that credit card debt settlements take hours of preparation, stress, and negotiation. You generally have to work with a debt settlement company which will cost you around a thousand dollars as well. Debt settlements are no walk in the park and it is not something you want to get into as a college student. As a college student you should be worried about your grades and having fun, you should not be in credit card debt deep enough to where you have no way out. Credit card debt settlement is a last resort. If you do feel like your credit card debt is getting out of control you should call your creditors on the phone and have an honest talk with them. Explain to them why you are struggling and see if you can get your APR reduced or your fees cut out entirely. Credit card companies do have room for negotiation; you need to be completely honest with your creditors. The worst that the credit card companies can say is “no”, but they will generally try to help you out if they can. Credit card debt settlement is a viable option for adults with no other choices, but it is not something college students should worry about. As a college student you need to focus on keeping your balances low and staying out of financial trouble in the first place.